This lightweight 56Kg Honda powered welder generator ran by a GX200 single cylinder engine has a generator output of 3KW at 110v/230v. 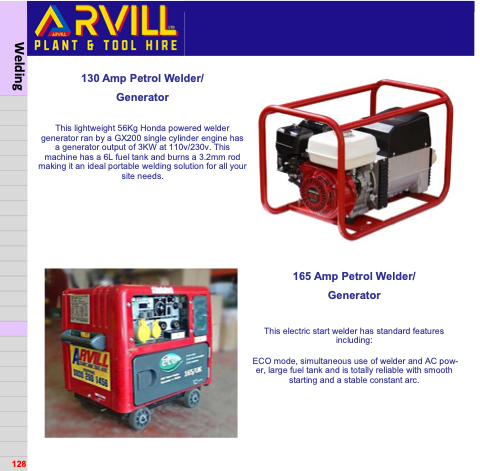 This machine has a 6L fuel tank and burns a 3.2mm rod making it an ideal portable welding solution for all your site needs. ECO mode, simultaneous use of welder and AC pow- er, large fuel tank and is totally reliable with smooth starting and a stable constant arc.